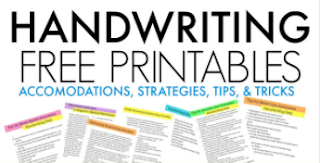 Getting kids to learn to write (or want to practice handwriting skills) can be a tricky task. It's important to start off younger kids on a positive foot when it comes to handwriting practice. What child wants to trace slant after slant or letter after letter on a worksheet? This sensory pre-handwriting activity is great for younger children who are learning and developing the skills needed for written work. 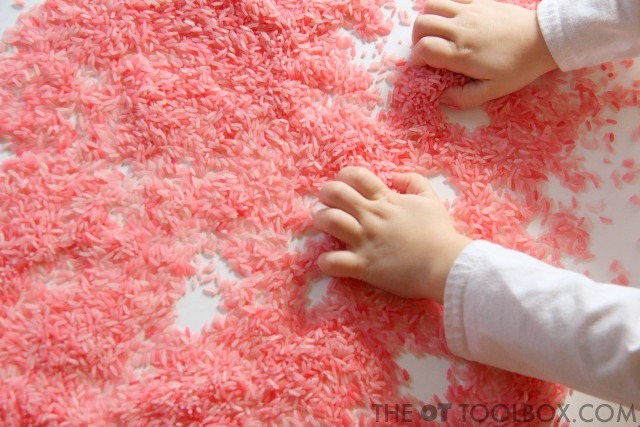 From tracing lines to forming simple forms, a sensory medium can make fine motor work fun. We used a rice table for this activity. It was VERY easy to set up and an activity that we will be doing again and again. The nice thing about creating sensory modalities with items like dyed rice is that you can save them for a while and re-use them over and over again. You can make a sensory writing table with a variety of materials. We used dyed rice. To make the rice, simply pour a few cups of rice into a plastic bag. Add food coloring and a few drops of water. Seal up the baggie. Shake it, roll it, and toss it to cover the rice with color. This is a fantastic gross motor activity for kids. 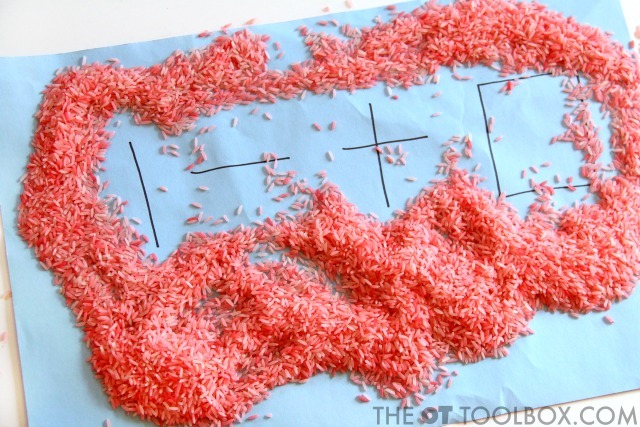 When the rice is coated with color, spread it out on a paper towel on a counter top and allow it to dry. Once the rice is dry, spread it out on a table surface. Now, start playing! We've done a bunch of writing trays in the past. The nice thing about playing on a table top is there is no lip to a container to worry about. An edge of a tray can interfere with hand and wrist positioning, making grasp and letter formation awkward. if you are worried about the mess, lay a sheet down on the floor under the table. You can also work on a large sheet of poster board. That way, when your child is done playing, use the poster board to gently fold the rice back into the baggie. Kids can spread the rice around with both hands. Ask them to create symmetrical patterns with their hands and ask that they look at their hands and not the shape that is being made. This activity requires peripheral vision and encourages visual motor integration. To work on pre-writing skills, write lines and shapes on a piece of paper and slide it under the rice. Kids can seek and find the line or you can find the starting point of the form and ask them to create it. 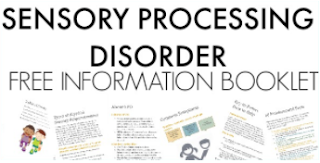 Watch the video below for more information on this activity. Use the rice to build those little muscles! Squeezing the rice with both hands is a grip exercise with a tactile component. Let the rice slip through the fingers and from one hand to another with a "hand funnel" (Check out the video to see this in action!). This is a fantastic way to work on arch development in the hands. Address pinch grip by squeezing the rice between the fingers and thumbs. 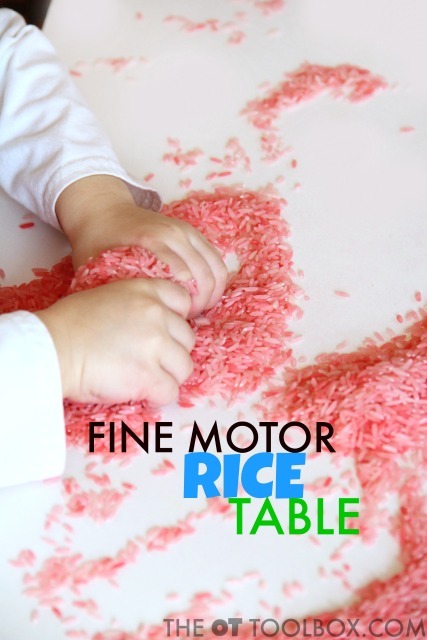 You can address neat pincer grasp to pinch and move individual pieces of rice, too. 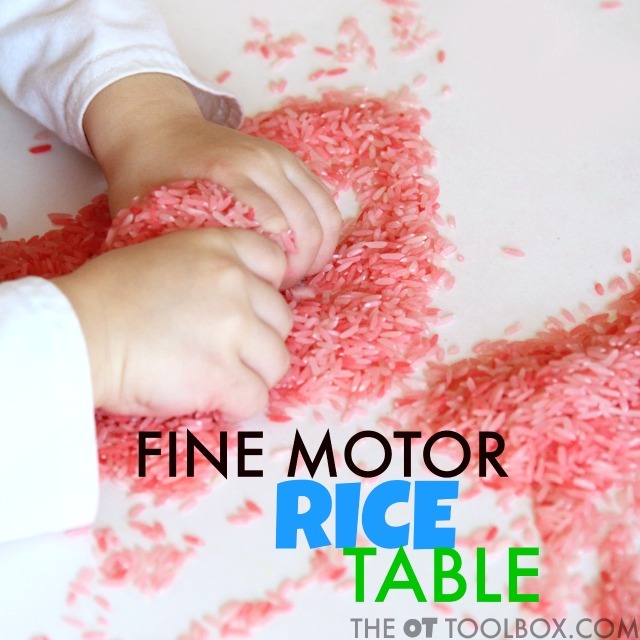 There are so many ways to use this easy rice table in pre-handwriting activities! 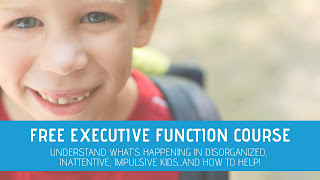 The kids will love the open-ended play that doesn't seem like handwriting practice. Pencil Control Worksheets You Can Make At Home uses the sense of sight with bright and high-contrast lines for working on line awareness, pencil control, and motor planning when writing. Tracing Letters: Letter Formation Handwriting Practice with Chalk uses the proprioceptive and tactile senses to write with chalk on a bumpy and hard sidewalk. Up the textures by using wet chalk! 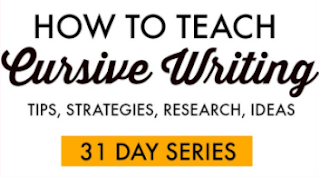 High-Contrast Letter Formation is one of my favorites from this blog! Use a black material (do you know what we used?) on a white surface for high visual contrast with an olfactory power punch!